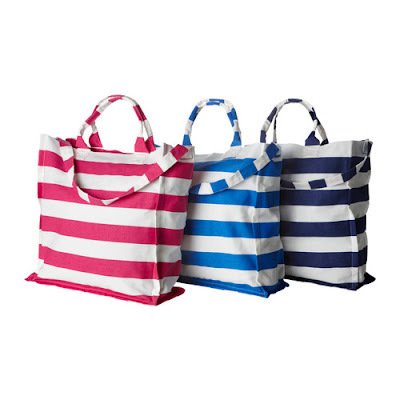 Cotten tote bags from IKEA. $6. Wouldn't they make beautiful cushions, complete with a quirky handle? and great idea mise - especially to take to sporting events etc! I think I'm overdue for a little snuffle round Ikea! Oh I love these bags. They just shout Summer! !